Spatha There are 11 products. 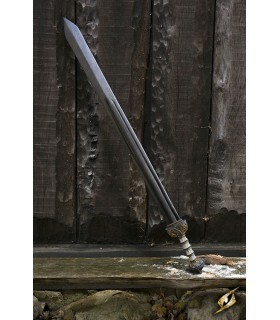 Roman Spatha fiberglass, 85 cm. Roman sword Spatha Cav sheath. It is a decorative piece only. 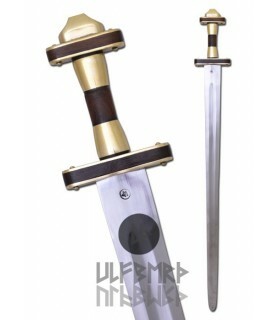 Made of sheet steel, wood guard and pommel and hilt imitation bone. 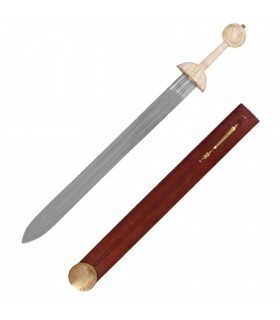 It includes wooden sheath coated with metallic finishes. Roman spatha latex, 105 cms. Roman Spathafor LARP, role playing live, recreations, etc. Made of fiberglass and coated latex strong. Length: 105 cms. Roman Germanic Spatha functional Ulfberth® manufactured in Germany. Corrugated sheet carbon steel hand-forged EN 45 well tempered with a hardness of 48 HRC. The full tang is riveted to the pommel. The handle is wood and brass. blunt edges and rounded tip. 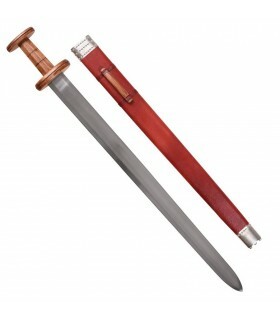 SI includes matching wooden sheath covered in leather with brazed endings ..
Roman Cavalry Sword Spatha with scabbard. Made of carbon steel sheet EN45, guard and pommel grip wood and bone. 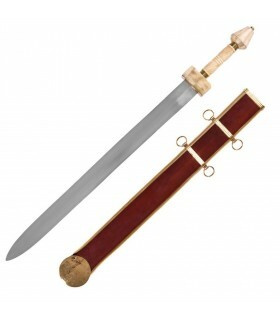 It includes wooden sheath covered with leather strap. 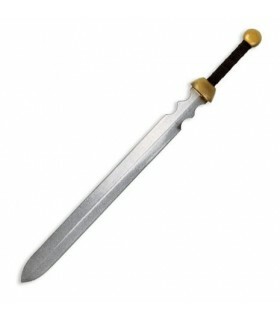 Roman sword of Saxon origin with carbon steel blade and blunt end. Wooden handle and knob. It includes wooden sheath covered with leather. This sword Feltwell dates from V century AD and was found in the English city of Feltwell in 1961. Replica of the Roman Spatha found in Germany. It is decorative. Carbon steel blade and handle in bone and brass. 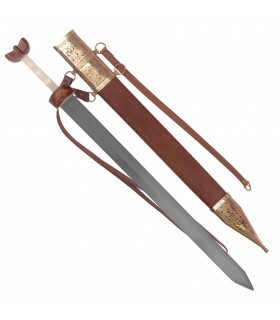 Includes riveted wooden sheath with metallic finishes. 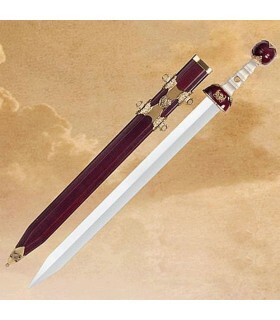 Replica of the last Spatha Romana of the fourth century AD It is decorative. Carbon steel blade, handle in animal bone and knob and guard in wood. 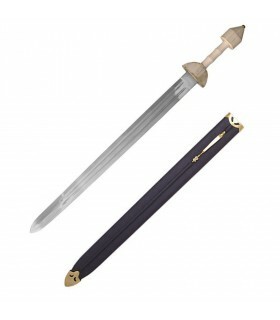 Includes riveted wooden sheath with metallic finishes. Third century Roman Spatha d. C. decorative. Sheet forged in steel and handle in bone. 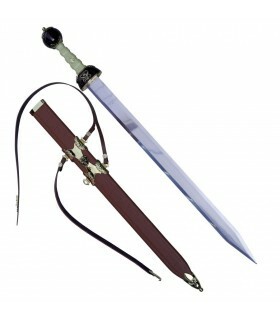 Includes sheath in wood covered in leather with metallic finishes. 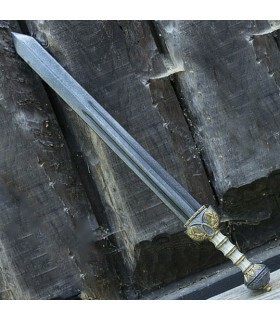 Sword of General Maximus with a blade forged by hand in steel with high carbon content. Takes a handle of wood and brass with a very detailed job. Includes sheath of wood covered in leather, and tahalí.